Why do we focus on Art & Craft Materials made by Royal Talens? For the gifted artist expression, form and function are as natural as light and darkness. 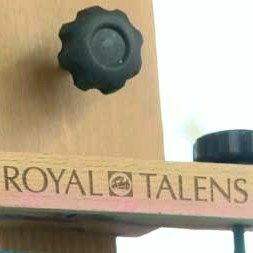 Add a century of refined experience in addition to an unrestrained logical creative imagination and as sure as the ultramarine pigment comes from the Lapis stone, you have the qualities of our main supplier; Royal Talens. 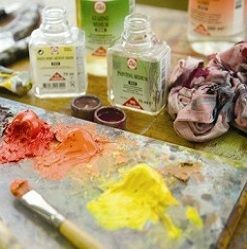 Talens adhere to these qualities and produce some of the most widely known and respected fine art supplies in the world. In the UK the maker of Rembrandt, Cobra, Van Gogh, Amsterdam, Ecoline, ArtCreation and Amsterdam Deco ( formerly Decorfin) hobbycraft paint is certainly not as well known or widely available as its main competitors Windsor & Newton and Daler Rowney. However in Europe, the US and the Middle East, it is quite a different picture. For instance, in America the Van Gogh brand is very well established. So, because of this Trinity Arts (iartsupplies.co.uk) specifically focus where we can on the ranges and artist brands offered by Talens, so that we can offer you a choice that we believe is much better in both price and quality. The great thing about buying from us is that we are artists ourselves and have actually used a large amount of what we sell. So if you need advice, or wonder about the quality of equivalent ranges all you need to do is pop in to our shop in Dundee (59 Perth Road) or pick up the phone or send us a quick email. We are more than happy to offer you any advice about the products we sell. Do I have to buy your Art Supplies On-line? that colours should never be out of stock for more than a couple of weeks or so. This is much better than waiting for 2 or 3 months for your favourite colour to come all the way from China! Despite this attention and devotion to quality and detail, their prices are extremely competitive, and often can be matched against other brands of equal quality. If you don't live close enough to Dundee to drop in, and browse our super selection of unusual brands that we stock in our creatively funky Art Shop. We regularly deliver to all over the world; particularly to Australia, many countries in Europe, India, Norway, South Africa and the USA. Orders are usually shipped out within 24 hours being placed. 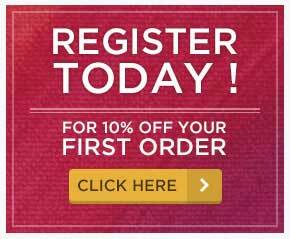 Our website will tell you what is in-stock and give you an estimate when products will be back in stock as well as when you are likely to have your order delivered to you. Our postal rates are really competitive and if you are in the UK you can get free delivery with orders over £30. Trinity Arts is a Christian business, and we share that with you; not to put our faith on you, but to let you know that we always do our utmost to give the best service possible; in a way that is fair, celebrating being creative. In short, we treat our customers as we would like and expect to be treated. 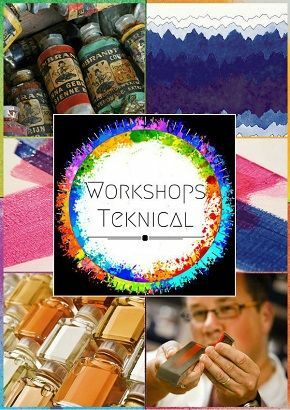 It is a thrilling opportunity to be able to supply artists & designers with some of the best and exciting fine art and craft materials currently on the market. If you want to learn more about how we got started just click here! Stand firm in your resolve as an artist and be determined to paint what you see with great art materials. Resist the strategies and tricks that come from the part of you that says 'you cannot' and listen to the truth of your creative intellect. This part of your intellect gently says 'you can' and encourages you to be free in your exploration of colourful creativity and discovery of new products for creation. But why try new brands of paint if you are comfortable painting or crafting with what you always have used? Maybe change is hard or you don't like the idea of it. Perhaps you have never really had the opportunity. 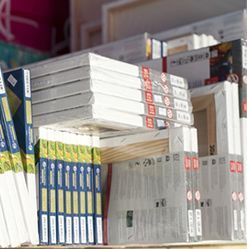 So many art equipment retailers in the UK, seem to do what everyone else is doing and sell the same brands of paint, brushes, canvasses or pastels, pens and pencils. 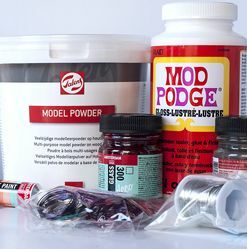 It is hard to be different sometimes, but we hope that by stocking alternative brands of art materials or craft supplies, we both differentiate ourselves in a creative and positive way and give you the choice you're entitled too. Ultimately you are not fighting against yourself, or those around you, but against conformity and expatiations, ritual and routine. Break the routine and loose your expectations and illusions of excellence in routine; and rediscover them in exploring the truths and realities of being like a child with a new favourite toy. 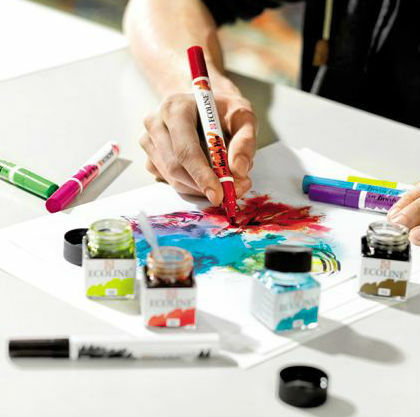 Discover again what it means to try new brands of paint and art equipment. Truly express yourself in your own personal world of colour with the richness from Rembrandt, or the vibrancy of Van Gogh. Work with the shades of contrast in this life and express them as only you know how to with solvent free Cobra Oil. Give your artwork the certainty that it knows itself and knows what it is not with the definition of colour that comes with Amsterdam Acrylic. Have you tried out painting before? Why not give your art an explosion of colour from the elements of ArtCreation? Remember, what you create has never been seen before, and is as unique as yourself, with the potential of being an endless eternity of provoked life in thought, inspiration and adventure. Is this not what art is? So, let your imagination flow freely like a river of creation bringing life to the unexpected. Try going in a different direction, always remember creation is a journey to enjoy, a journey to loose oneself in colour and to discover your true purpose. We have all the key ingredients you need in the spectrum of an artists life. Choose colour in which help you do your job and fulfil your purpose to create and record what you see and feel. Create colour and record life, so it can be admired, lost, and found once again. 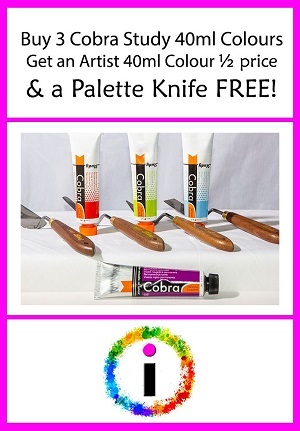 Choose from traditional oil paint, or the newer watermixable and solvent free Cobra Oil Paint. Or if you are looking for something more forgiving and fast drying the Amsterdam Acrylics have an intensely super range of colours. If watercolour is more your cup of tea, we have a tasteful mouth watering range of Rembrandt and Van Gogh. The colours will vary a little compared with cotman or the artist range of Windsor & Newton, but the quality and price are much improved on. If you are looking for convenience and uniformity, you can buy concentrated convenience in a glass jar, as we sell the entire colour range of Ecoline, the house brand for watercolour inks. As an artist that is your purpose is to freely express your spirit and surrounding. So make your own art how you want to make it, mark your own character onto canvas. Be free in your expression and use of colour. Be inventive, be original, be unique, be you. Certainly, art needs a diverse choice when it come to the tools of creation or pallets of colour. That is exactly what we offer at iartsupplies.co.uk. This is the artistic environment and philosophy that makes us at Trinity Arts unique and gives us purpose; our inspired environment helps us offer you what you need when you need it, at a price that may sometimes be beaten but can always be matched if you ask us to. If you haven't seen where we work come inside and have look around! We can help you fulfil your purpose and live creatively, with a Dutch tint, with a tonal hue supplied to you from the UK in the cultural West End of Dundee in Scotland. Clearly art is not alive as we know and define alive, but while you are painting, drawing, crafting and shaping surely it is! Your personal creative energy is transferred from mind to canvas, from hand to brush, from brush to pallet, from pallet to a promised rainbow of colour, reflected in a sea of glass. Hold steady your mind and support your need to explore along with your desire to express visually. Choose tools with refined quality craftsmanship that only industry knowledge and centuries of experience can give. Rest assured the brands Royal Talens make will help you rest easy and gain a peace of mind with their reliability, safety and environmental responsibility. It is best to be fully prepared and well equipped with your creative tools and equipment. Don't allow yourself to be held back from progress from the fear of discovering the new or untried. Protect your desire to record and express, divulge your talent to a blank cotton canvas with a nice sturdy uniform pine stretcher, specially crafted for you in Europe. Have you noticed how a blank canvas sits in expectation of being filled, like a sponge waits for water? 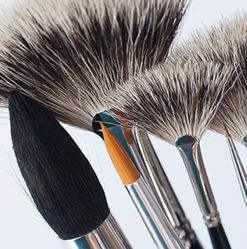 Or, like your pallet knife waiting to mix oil paint, like your cats-tongue ox hair number 8 brush waits to be loaded with Rembrandt Oil paint, as it patiently anticipates helping you make the first mark on your professionally triple primed Talens canvas. Open your ring bound sketch book, lift your pencil, make your mark permanently light-fast. Light is fast but this life is like a vapor gone with the morning mist. Don't let it pass you by being distracted from what you were born to do. Connect with creation in exploration. Where possible we use recycled packaging. All our products come with a manufactures guarantee, as does our service. "I LOVE the dimensional paints, using them on most of the masks. Great product"
"I have received my order today, thank you. That was very quick and well packed!" "I got the other 2 sets today :) thanks for the lovely gifts you sent!!" "I have just received my shipment, and am very impressed with your service. Thank you! will definitely order again."